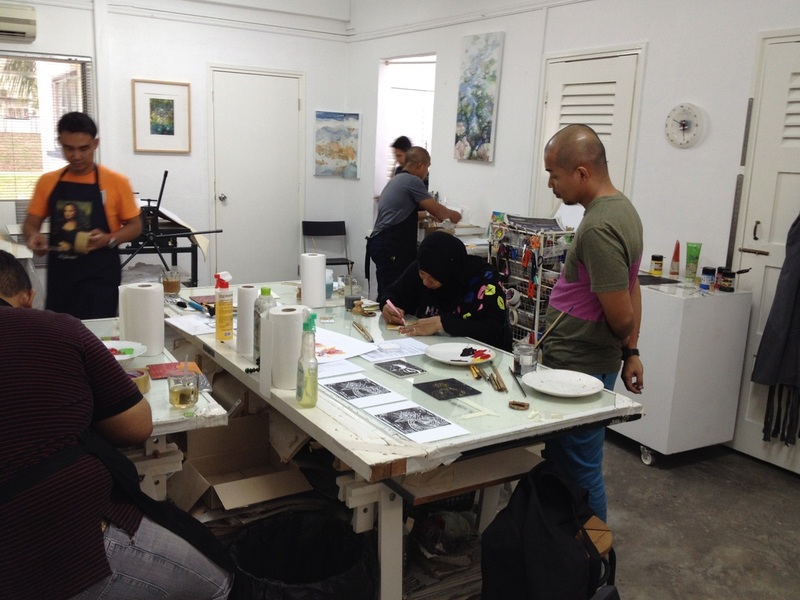 The studio organizes printmaking workshops that will cater to your needs at your preferred times. Minimum of 3 participants, maximum 7 participants at the studio. I also will come to your location and bring the necessary materials and tools. For etching and some other techniques an etching press needs to be available at site. Techniques, times, materials will all be discussed. The course or workshop fee will be based on number of participants, hours and use of materials. Most materials are provided and included in the workshop fee.